In this photo we are renewing a flat roof in Fanshawe Road, Cambridge. 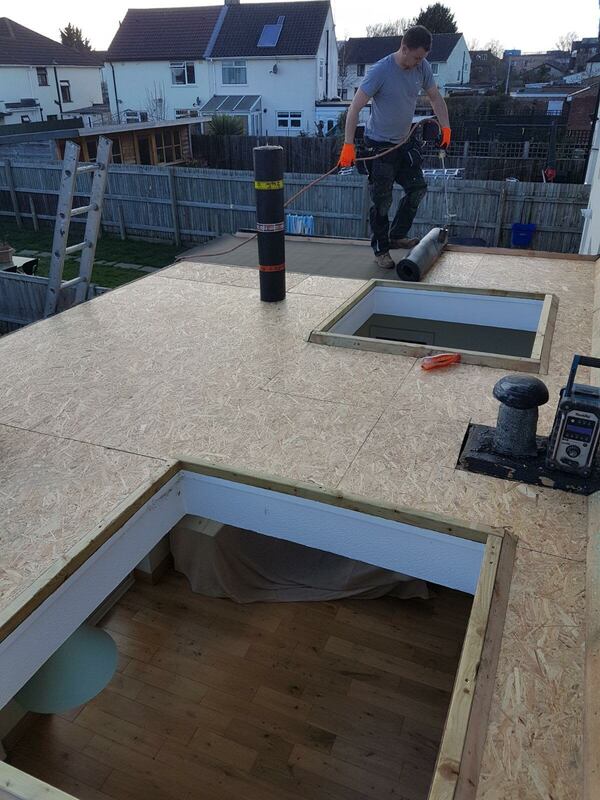 We carry out up to 5 flat roofs this size in Cambridge in any week. On this job we are installing 2 new roof domes to add some light into the customers front room. These are a welcome addition to any flat roof as they not only improve the living conditions inside the property but add value to the property. Alpha roofing services provide several different options in flat roof coverings and will take the time to discuss different systems of roofing materials after a initial inspection of the roof.